" Rhonda is a true Steiner Ranch Specialist, she sure knows what sells in Steiner Ranch! " " Rhonda was an excellent agent for the sale of our home. She is very detailed oriented and knows what needs to be done to sell your home. She handles all the little things and the big things very professionally. Rhonda always returned our calls, text messages and e-mails very promptly, even if they were not that important. She helps things run smoothly, even if there are major bumps in the road. Her negotiation skills are truly excellent! We had two offers on the same day, and Rhonda got what we wanted in the negotiation for the right contract. We also enjoyed Rhonda's great sense of humor and keeping things light in the moments of stress! We highly recommend Rhonda as a realtor, she is very personable and knows her stuff! " 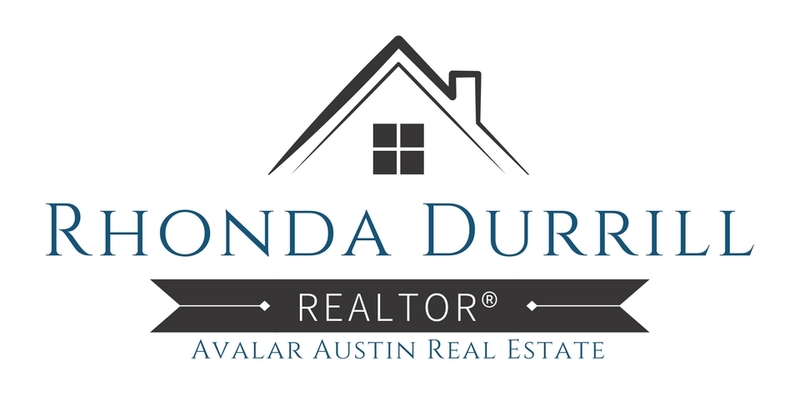 " We would like to recommend Rhonda Durrill, Avalar Real Estate, to anyone searching for their dream home, in need of a transition home or ready to sell their current home. Rhonda was able to secure a transition home for our special needs family through her current listings and amazing broker network while our new home was in the final stages of construction. Thank you, Rhonda for your professionalism, speedy execution and translation of our specific family needs. " " We LOVE Rhonda Durrill!! We just bought a home in Austin, Texas and Rhonda was a complete pleasure to work with. We cannot say enough about her level of commitment, service, professionalism, knowledge and advocacy. From our first conversation, we felt understood and supported. She worked through all of the unexpected challenges of our deal with patience, creativity and persistence until a solution was achieved. Rhonda went above and beyond to help us get the best house for us. We heavily relied upon her as my husband and I were only able to visit Austin once during the whole house-hunting period/transaction. We trust her completely and highly recommend her without any reservations!! " " Without any reservations, my husband and I highly recommend Rhonda Durrill! While everyone selling a home has their own set of challenges, our situation was especially difficult in that we were selling a home from another state – 1200 miles away! Rhonda made the entire process seamless! No matter what we needed or requested, she was there for us. She was accessible, proactive and professional. From our first conversation with her to our closing, she managed the entire process expertly and far exceeded our expectations! With complete confidence, we would hire her again as well as recommend her to anyone buying or selling a house! " " Rhonda was an absolute pleasure to work with! We bought a house in Austin, TX while living in Los Angeles and handled the entire transaction over emails and phone calls until we arrived in Austin. Rhonda was very professional, knowledgeable and timely regarding the entire transaction. I would recommend Rhonda to anyone looking for a professional friendly realtor!!! I even referred her to my parents who are purchasing a home in Austin as well! " " If you're looking for someone who knows her stuff, then look no further! Rhonda is ON it! " " Rhonda was very helpful with our home search. The entire process went very smoothly. We highly recommend her! " " Having Rhonda as your realtor is hard to beat! She outgoing, friendly, personal and you always feel you are the most important person. She knows her stuff and is always on top of things, making sure there are no surprises. She gave us great advice on how to make our home more attractive to the market; what to update, what to replace and what to leave alone. She has a repertoire of great handymen, painters etc. who all worked out great. She drove staging the house and it turned out great. She went way beyond what we have ever seen from any realtor. Rhonda is a true “Steiner Ranch Specialist”: she sure knows what sells in Steiner Ranch - better trust her. We sold our house within 2 weeks. We can only recommend Rhonda to anyone who wants to buy or sell a house in this area. " " Rhonda's experience, negotiation skills and overall support were key elents that enabled the sale of our home. The transaction was made more challeging as we relocated from Austin, Texas to the UK and Rhonda managed the whole process in our absence. She went way above and beyond what you would expect from a typical realtor and I hope that as a result of our business relationship my wife and I have established a long lasting friendship. I would strongly recommend Rhonda if anyone is seeking a proactive and responsive realtor. " " Rhonda was an excellent agent for the sale of our home in Steiner Ranch. She is very detailed oriented and knows what needs to be done to sell your home. " " Rhonda is awesome! She goes above and beyond to make her clients happy. We were more than pleased working with her. " " I highly recommend her if you're looking at buying in the Austin area. She is so wonderful and helpful and I appreciate all she's done for me and my family. Thank you, Rhonda, you rock! " " When you are selling your home, smart pricing is paramount – can't be too low or too high. Rhonda's methodical approach to pricing was based on data, analytics and deep market knowledge that sees beyond the face value of what is on paper. She considers every facet – both good and bad – of your home. However, Rhonda's greatest strength is her tactful candor. She is a consummate professional, and she will tell you want you need to hear, not necessarily what you wish to hear. Therefore, as a seller, you go into the process fully informed and can base your decisions on reality, not wishful thinking. She is one of the best agents we've ever used. Exceptional. " " When our family relocated to Austin, we were referred to Rhonda by a mutual friend. I'm so grateful our friend recommended her because she exceeded all of our expectations. Rhonda is willing to help in any way, always on top of paperwork, punctual, and very knowledgeable. She went above and beyond to help us find the home of our dreams. 4 years later, we have come full circle. We called on the person who made our home buying experience so enjoyable to sell our beautiful home so that we could relocate once again. Rhonda was prepared the day she visited with comps, recommendations, a videographer/photographer scheduled, and we were listed within a week. Even better, she sold our home in just over 30 days!!! You won't find anyone better than Rhonda...look no further! " I was born and raised in Arkansas where I spent my first 25 years before work opportunities took me outside of the state. I have lived and worked in various cities throughout Texas and California and have loved them all, but I am thrilled that Austin is now where I get to call home. I am a resident of Steiner Ranch and thoroughly enjoy being a part of this great community as well as the greater Austin area and all of those that live here! I graduated from the University of Central Arkansas and University of Arkansas for Medical Sciences with a BS and AS in Respiratory Therapy. I am a registered Respiratory Therapist, but no longer practice. In my previous life, I worked 10 years as a Transport Therapist for Arkansas Children’s Hospital on Angel Flight and Las Palmas Medical Center as transport coordinator for neonatal, pediatric, and ECMO patients. Before becoming a REALTOR, I helped with the interior design of two custom homes and was an assistant contractor for Waterstone Homes. For the past 17 years I have bought and sold homes both in Texas and California. I am actively involved in Young Men’s Service League, PTA, Vandegrift Basketball Booster Club and Austin Christian Fellowship. Real estate is my passion, but it also allows my husband and I to donate to various charities in the Austin area. To date, I'm proud to say that we have been able to donate over $75,000 to local and world charities from my real estate transactions. I am well versed in buying and selling in most areas of Austin, but specialize in the River North area. Steiner Ranch, River Place, Four Points, Westlake, Balconies, Bee Caves, and Lakeway are a few of the areas I most work with my clients. I am extremely knowledgeable in areas that feed into Vandegrift High School. If you're looking for a knowledgeable Realtor®, look no further. I'd love to help you with your buying and selling needs!